Samlerhuset and Crown Prince Haakon celebrate Norwegian war heroes - Samlerhuset Group B.V.
Samlerhuset Norway has financed a statue honoring the Norwegian resistance movement called the Pelle Group. 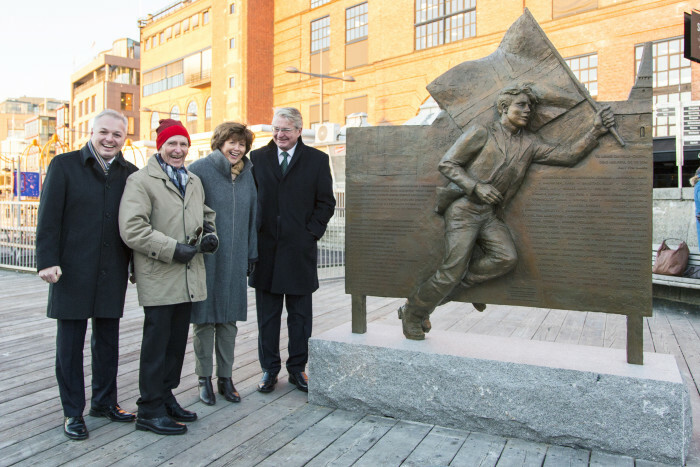 The statue was designed, financed and raised in conjunction with the City of Oslo and the sculptor Kirsten Kokkin, who is the daughter of one of the members of the Group, Sverre Kokkin. “When we first heard about the Pelle Group we knew very little about them. But as we learned more about their heroic deeds, we quickly realized that this is a story which needs to be honored and remembered”, Samlerhuset founder and owner Ole Bjørn Fausa, says. The Pelle Group carried out several crucial sabotage operations against German ockupiers during the end of World War II. However, the leader of the group, Ragnar Sollie, was a member of the communist party and therefore the “Pelle Gruppa” did not recieve any official recognition from the Norwegian authorities until now, 70 years later. The official ceremony took place at the Oslo City Hall before the statue was unveiled at the Aker Brygge, where most of the sabotage actions were carried out. Featured image: Samlerhuset´s Ole Bjørn Fausa, Crown Prince Haakon and Oslo Mayor Fabian Stang honor the Pelle Group at the Aker Brygge in Oslo. 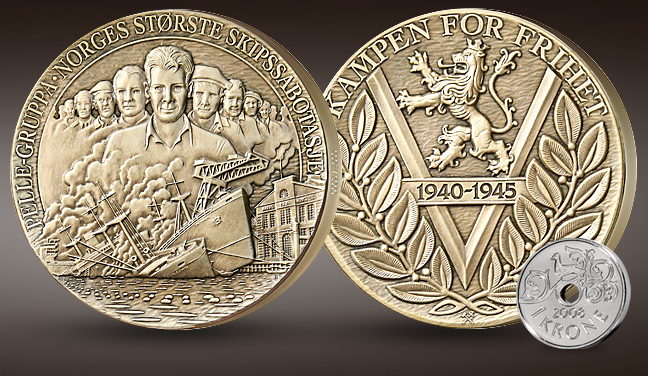 Picture below: the Samlerhuset medal sold to finance the Pelle Group-statue.